To follow this up, we shipped a release-20170527 hotfix a couple of weeks ago that fixed a few issues that weren't caught during playtesting. 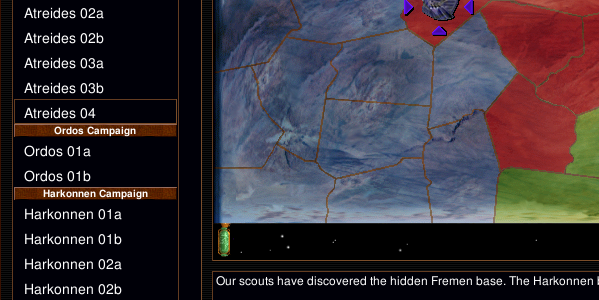 This hopefully won't be news to any of our regular players, but something that you may not know is that next Monday will mark 10 years since the first code commit for OpenRA! SoScared has been working hard on a project to celebrate this milestone, so keep an eye out for something from us then (no, it's not TS or RA2). Meanwhile, work has just about converged for our next playtest, which will give a preview of our most significant OpenRA release in recent history. A new unit control bar that provides mouse/touch accessibility and improves discovery for commands that are otherwise hidden behind hotkeys. Think of it like a mash-up of the C&C3 and RA2 bottom bars. Unit stances that are easier to use and behave more like the original games. Overhauled structure hit boxes, with weapons/engineers/etc accounting for their physical size instead of acting only at their centre. Automatic discovery of LAN games. A new modding SDK that makes it easier to build and maintain your own OpenRA-based games. The SDK will compile mods to stand-alone installers that do not depend on our “official” releases. This means that modders don’t need to wait on us to ship new features, players have a much better installation experience, and no more broken mods when we ship updates for RA/TD/D2K. Fixes for a couple of significant memory leaks that will make the game leaner and fixes the rare (for most players, but annoyingly common for others) out of memory crashes. The ability for mods to define their own package and 3d model formats. That last point is pretty cool because it let us move the mix and voxel loaders, our last hardcoded proprietary re-implementations, into the Mods.Cnc dll. This means that the core game engine is now completely separated from the classic mods, and can be used by projects that are put off by their associated intellectual property issues. Almost to the day half a year after our last stable release, the OpenRA dev team is proud to finally present to you their latest work - OpenRA Release 20170421! With 43 developers producing just shy of 800 commits and touching almost 1800 files, this has very likely been one of our slowest release cycles ever. As such, the list of user-visible changes is not as long as you've come to expect in earlier years. However, behind the scenes, preparations for a fundamental transformation of the OpenRA engine are in the works. But more on that later. The Dune 2000 mod in particular has many changes to make it better match the gameplay and graphical polish of the original game, plus seven(!) new campaign missions. 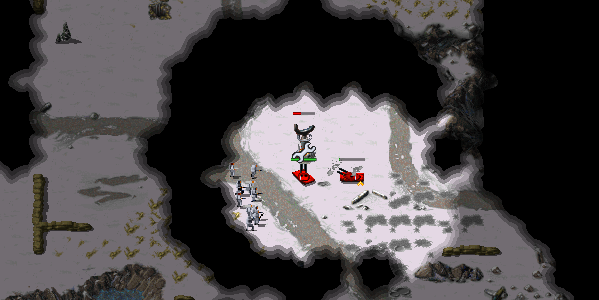 Comparing regular and high resolution UI rendering in the Tiberian Dawn map browser. Dune 2000 now comes with 13 campaign missions. The re-written shroud-generating behaviour of the gap generator in action. After many discussions, we have developed a new mod support strategy that we will implement over the next two OpenRA releases. This release starts by adding support for parallel OpenRA installs, and we have started developing a mod template that includes instructions and scripts to simplify mod development and packaging. Mods built using this template will be self contained games that function independently from our official mod installs. 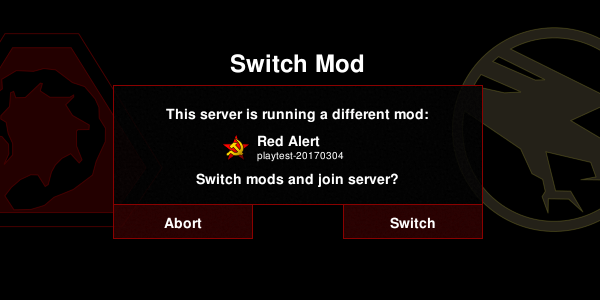 The in-game multiplayer server list will now list games for all the mods that a player has installed (even across multiple installations), and will allow players to directly switch to another mod when joining one. This applies across versions as well as mods, meaning that future OpenRA releases will be able to coexist, and switching between release and playtest servers will be just as easy as switching between RA and TD servers today. The next release (later this year) will complete the mod-support transition by removing the in-game mod chooser and support for manually installed mod packages: all mods (both official and community) will be listed individually with their own names and icons in your Start Menu / Dock / Launcher. We hope these measures will give more visibility to third-party mods, and establish OpenRA as a viable and stable real-time strategy platform even for games not connected to the Command & Conquer universe. For the complete list of changes please see the full changelog. You can find installers for all our supported operating systems on our download page. We hope you'll enjoy this newest installment of OpenRA!